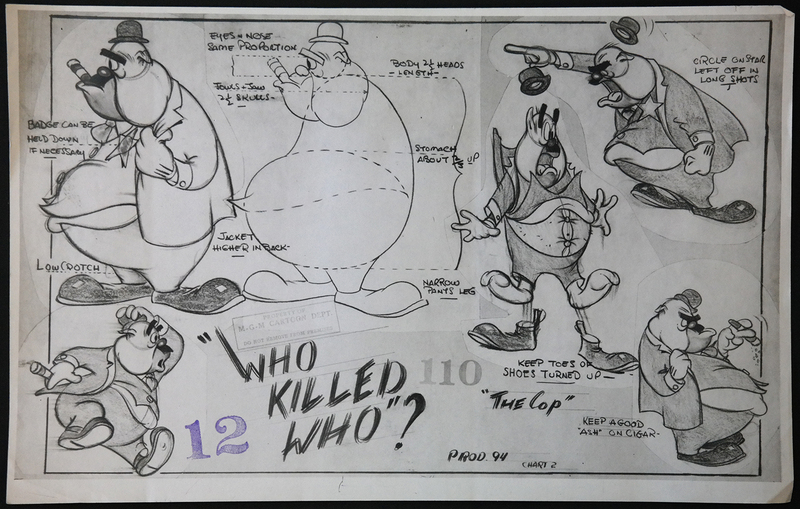 This is a xerox model sheet of the Cop from Who Killed Who? (1943). The paper measures 9.5" x 15" and the image measure 9" x 15".